1. Atticus Finch's Pocket Watch. 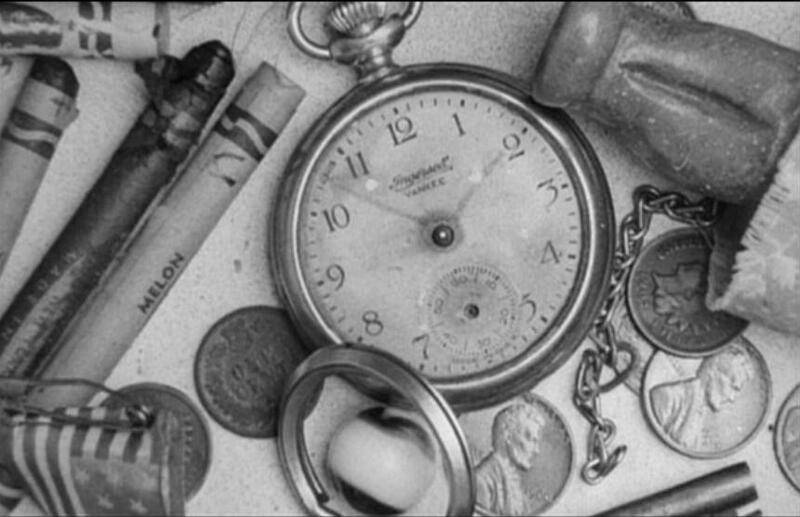 I pondered opting for the whole box of treasures shown in the opening credits of To Kill a Mockingbird--but that seemed greedy. Plus, I love the scene where Atticus tucks Scount in her bed and she asks to play with his pocket watch. He explains that he will leave the watch to Jem, as it's a father-son tradition, and she will receive her mother's pearls. And if Atticus's watch isn't available, I'll settle for the one that the kids find in the knot hole in the tree (shown on right). 2. 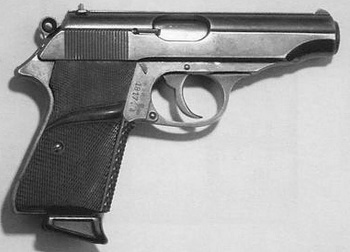 James Bond's Walther PPK Pistol. Agent 007 first brandishes his trademark firearm in Dr. No, but it appears in many subsequent films. Some firearms experts claim the gun used in Dr. No is the PP model and not the PPK as identified in the film. I don't know about that. By the way, one of my friends has a space suit that was used in Moonraker. It's not overly impressive up close, proving once again that cinema is all about creating illusions on the silver screen. 3. James Stewart's Camera from Rear Window. My movie prop collection would have to include something from one of my favorite Hitchcock movies. 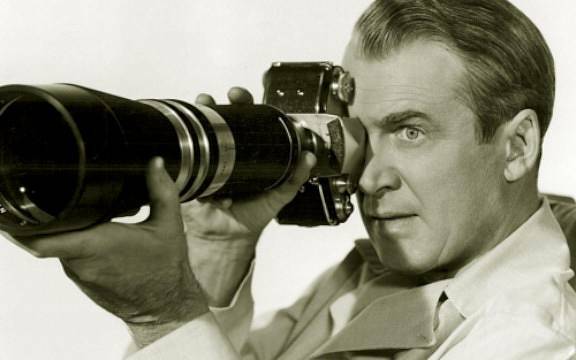 So, why not the camera--and telephoto lens--used by James Stewart's character in Rear Window? The Exakta Varex VX with a Kilfitt Fern-Kilar f/5.6 400mm lens plays an integral part to the plot. 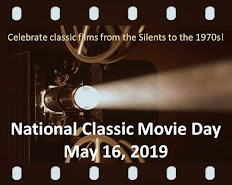 Not only does Stewart employ it to spy on his neighbors, but he uses the flash to temporarily blind Raymond Burr during the climax. 4. The Box containing the "Great Whatzit" from Kiss, Me Deadly. 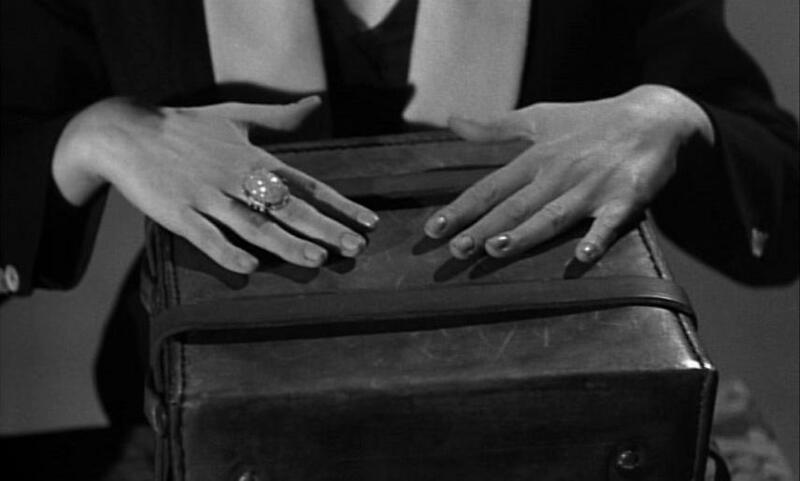 Sure, it's just a leather-wrapped box...but it's also one of cinema's most famous movie "MacGuffins." Incidentally, I am not interested in the contents of the box, which apparently consisted of radioactive materials that led to the (literally) explosive ending. 5. 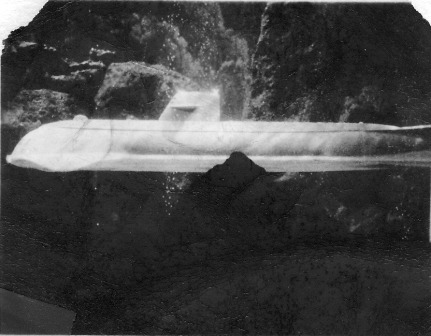 A Model of the Submarine Seaview from Voyage to the Bottom of the Sea. I suspect many of you would opt for the Nautilus from 20,000 Leagues Under the Sea if interested in a submarine model. However, as a kid, I loved Voyage to the Bottom of the Sea, both the 1961 film and subsequent TV series. There were actually several different-sized models built of the Seaview. I'd go for one of the smaller ones due to storage space. 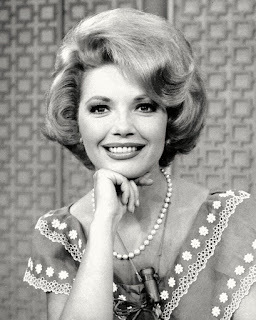 I have a photo of one of them, courtesy of a fan letter I wrote to 20th Century Fox when I was 8 years old. I've always had a thing for Gene Hackman's pocket watch from "Bite The Bullet," the smoking paraphernalia from any Rathbone/Holmes movie, and James Bond's Rolex. A Seaview or Nautilus model would be great. As well: James Coburn's lighter from the Flint movies ("82 uses, 83 if you count lighting a cigarette"). I'd love to have Derek Flint's lighter, too! I'd like to have that pipe Bing used to strike the Christmas tree bells in Holiday Inn. I would put it on my tree in a place of honour. Of course, then I might never take the tree down. Someone should turn it into a keepsake Christmas ornament. Seaview, hands down! Any size. I had heard where a couple of them had gone a few years ago, but can't remember to save me. Supposedly, there were three Seaview models of different sizes, so you and I could each have one. Great choices, Rick! Really nice. And diverse. A few years ago at the TCM festival, Sam's piano from "Casablanca" was on display in TCM's private room at the Roosevelt Hotel. I desired it deeply. Ooh, Carlotta's necklace would be cool! We included the Maltese Falcon in volume I of our movie prop posts. There's a fascinating article in Vanity Fair about the different Falcon models and what has become of some of them. Spielberg's donating his original prop of ROSEBUD to the Academy Museum. Only surviving balsa wood version - the other two burnt on film. This one found by a night watchman in RKO's trash can. The one at film's beginning still exists.